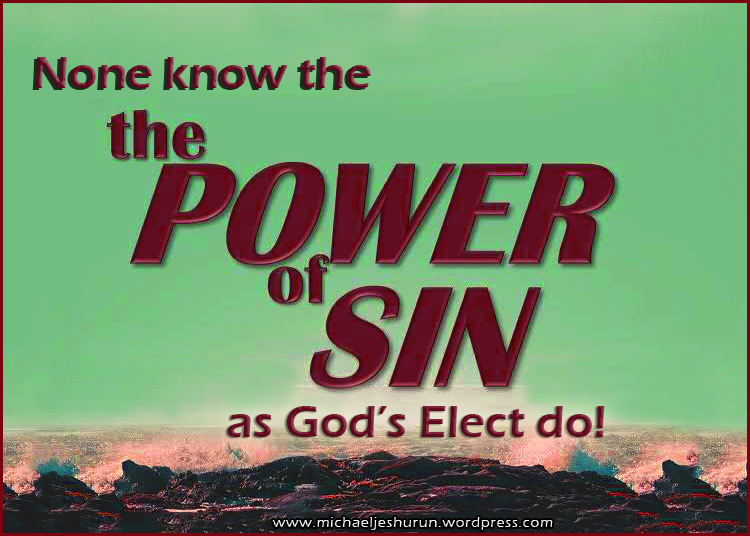 Because of man’s sinful nature, God’s covenant people often stray from the truth. Men often pervert true religion by eliminating elements in it they find unpleasant. They also pervert it by adding their own ideas to it. This very tendency to corrupt true religion, by addition or subtraction, is why God warned Israel not to add to or subtract from His Word. “Now therefore hearken, O Israel, unto the statutes and unto the judgments, which I teach you, for to do them, that ye may live, and go in and possess the land which the LORD God of your fathers giveth you. Ye shall not add unto the word which I command you, neither shall ye diminish ought from it, that ye may keep the commandments of the LORD your God which I command you” (Deut. 4:1-2). This passage of Scripture, and others like it, forms the basis for the Protestant reformers’ doctrine of sola Scriptura. That is to say, THE BIBLE ALONE is the final authority in all matters of faith and practice. “The whole counsel of God concerning all things necessary for His own glory, man’s salvation, faith and life, is either expressly set down in Scripture, or by good and necessary consequence may be deduced from Scripture: unto which nothing at any time is to be added, whether by new revelations of the Spirit, or traditions of men . . . and that there are some circumstances concerning the worship of God, and government of the Church, common to human actions and societies, which are to be ordered by the light of nature, and Christian prudence, according to the general rules of the Word, which are always to be observed.” Therefore, everything that man does is to be based on either the explicit commands of Scripture, deduced by good and necessary consequence (e.g., historical example, implication, etc.) or, if circumstantial, to be ordered by the light of nature and Christian prudence, according to the general rules of the Word (e.g., time or place to meet, etc.). Moses’ command in Deuteronomy 4:2 is God’s regulative principle, in a broad sense. Man’s ultimate authority and blueprint for life is revealed in the Bible. is no area of life where this truth is more applicable than in the area of worship. Before entering the promised land, God told the Israelites how to avoid idolatry and syncretism (i.e., blending or mixing) with pagan worship. “Take heed to thyself that thou be not snared by following them, after that they be destroyed from before thee; and that thou inquire not after their gods, saying, How did these nations serve their gods? even so I will do likewise. Thou shalt not do so unto the LORD thy God. . . . What thing soever I command you, observe to do it: thou shalt not add thereto, nor diminish from it” (Deut. 12:30-32). WHATEVER IS NOT COMMANDED BY SCRIPTURE IN THE WORSHIP OF GOD IS FORBIDDEN! the fruit of the ground an offering unto the LORD. And Abel, he also brought of the firstlings of his flock and of the fat thereof. And the LORD had respect unto Abel and to his offering: but unto Cain and to his offering he had not respect. And Cain was very wroth, and his countenance fell” (Gen. 4:3-5). 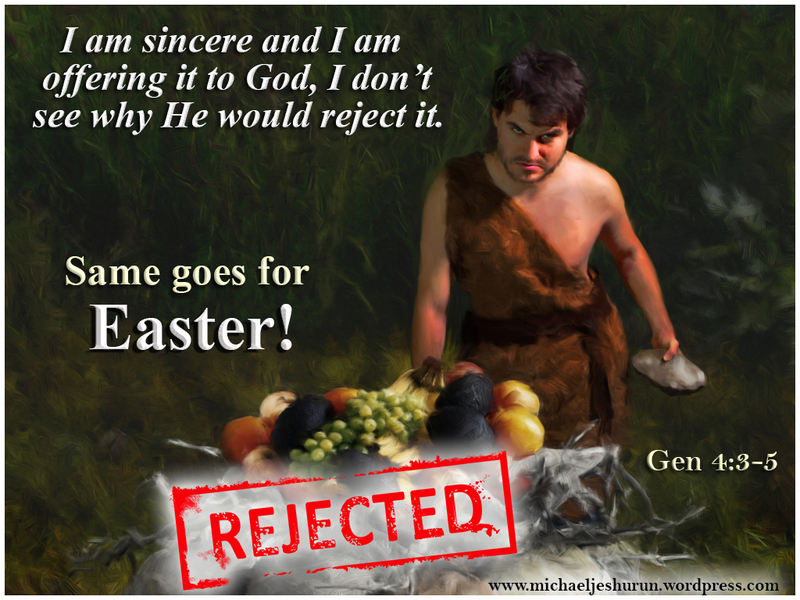 What was it regarding Cain’s offering that made it unacceptable before God? The preference for Abel’s offering and the rejection of Cain’s was not arbitrary, but based upon past revelation given to Adam and his family. Evidently, God revealed this information to Adam when He killed animals to make coverings for Adam and his wife (Gen. 3:21). Generations later, Noah knew that God would only accept clean animals and birds as burnt offerings to the Lord (Gen. 8:20). Cain, unlike his brother Abel, decided, apart from God’s Word, that an offering of the fruit of the ground would be acceptable before the Lord. But God rejected Cain’s offering, because it was a creation of his mind. God did not command it; therefore, even if Cain was sincere in his desire to please God, God still would have rejected his offering. God expects faith and obedience to His Word. If God’s people can worship the Lord according to their own will, as long as the man-made ordinances are not expressly forbidden, then could not Cain, Noah or the Levites offer God a fruit salad or a bucket of turnips, for it is nowhere forbidden? And if God wanted a strict regulation of His worship apart from the regulative principle, would it not require hundreds (or perhaps thousands) of volumes telling us what is forbidden? But God, in His infinite wisdom, says, “What thing soever I command you, observe to do it: thou shalt not add thereto, nor diminish from it” (Deut. 12:32). “And Nadab and Abihu, the sons of Aaron, took either of them his censer, and put fire therein, and put incense thereon, and offered strange fire before the LORD, which HE COMMANDED THEM NOT. And there went out fire from the LORD, and devoured them, and they died before the Lord” (Lev. 10:1,2). valley of the son of Hinnom, to burn their sons and their daughters in the fire; WHICH I COMMANDED THEM NOT, NEITHER CAME IT INTO MY HEART” (Jer. 7:31; see also, Jer. 19:5). The regulative principle of worship has clear implications for those who want to promote the celebration of Easter. The Regulative Principle forces those who celebrate Easter to prove from Scripture that God has authorized the celebrating of such a day. This, in fact, is impossible. Additionally, celebrating Easter along with its ‘Sunrise service’, Easter Eggs and Easter Bunnies is downright PAGAN! “The New England [Pilgrims] like Reformed Protestants everywhere, rejected traditional Roman Catholic and Anglican beliefs and practices that organized time around consecrated churches, railed-off altars, holy shrines, miraculous wells, and that supposed the flow of time to be an irregular succession of holy days and sacred seasons. The Reformers argued, what was intended as a crutch for others had become a cast for Christians who willingly accepted the obligation of constant worship. They for whom all days are holy can have no holidays.” (See, for example, The Sermons of John Calvin Upon the Fifth Book of Moses called Deuteronomie, trans. Arthur Golding (London: H. Middleton, 1583). And historians tell us that THAT is what exactly happened! The moral? This – If you are still glorying in the works of man and the achievements of fallen man then you haven’t yet learned where it’s at. Well if we should not glory in the works of man then WHAT would you that we glory in? 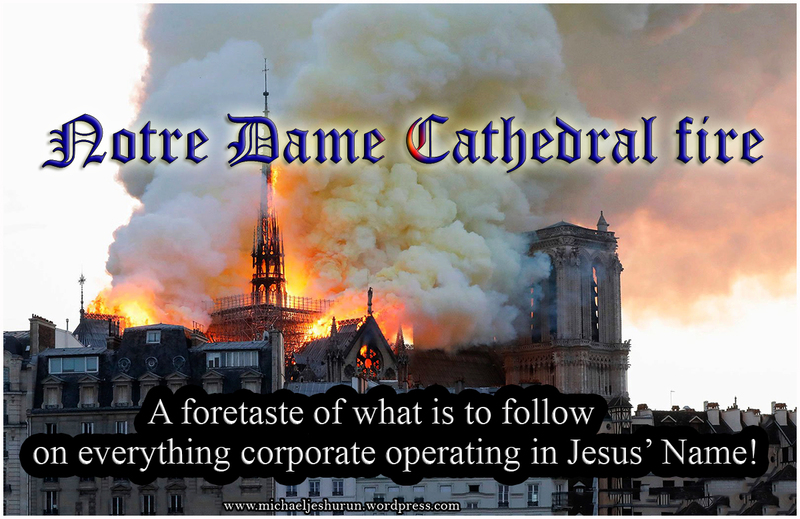 There will be a great multitudes on that Day of Judgment who are now claiming to ‘know the Lord’ either because they walked an aisle, raised a hand, signed a card or said a little salvation prayer’ or whatever who are strangers to the discriminating Sovereign God of the Scriptures. For so an entrance shall be ministered unto you abundantly into the everlasting kingdom of our Lord and Saviour Jesus Christ.” [2Pet 1:10,11] Amen! I am going to be away for awhile because my wife and I are desperately trying to sell her late mother’s house and for some reason it isn’t getting sold. This house is situated in another town and every time a prospective buyer calls up we have to travel all the way there on my bike to show them the house. We’ve been doing this for almost three months and now it’s finally getting to us . . . so many coming by to check out the house and nobody closing the deal. Please pray that God will send along a buyer who will like the house and buy it .. . . ASAP. Our finances depend on it. Thank you. You are all very dear to my heart. It should be the subject of grateful admiration that the great God allows himself to be compared to anything which will set forth his great love and care for his own people. David had himself been a keeper of sheep, and understood both the needs of the sheep and the many cares of a shepherd. He compares himself to a creature weak, defenseless, and foolish, and he takes God to be his Provider, Preserver, Director, and indeed his everything. No one has the right to consider himself the Lord’s sheep unless his nature has been renewed, for the scriptural description of the unconverted does not picture them as sheep but as wolves or goats. A sheep is an object of property, not a wild animal; its owner sets great store by it, and frequently it is bought with great price. It is well to know, as certainly David did, that we belong to the Lord. There is not “if” or “but” or even “I hope so” in this sentence. We must cultivate the spirit of assured dependance on our Heavenly Father. The sweetest word of the whole is MY, He does not say “The Lord is the shepherd of the world at large, and leadeth forth the multitude as His flock”. If He is a Shepherd to no one else, He is a Shepherd to ME. The words are in the present tense. Whatever the believer’s position, he is under the pastoral care of Jehovah now. These positive words are a sort of inference from the first statement. When the lord is my Shepherd he is able to supply my needs, and he is certainly willing to do so, for his heart is full of love. 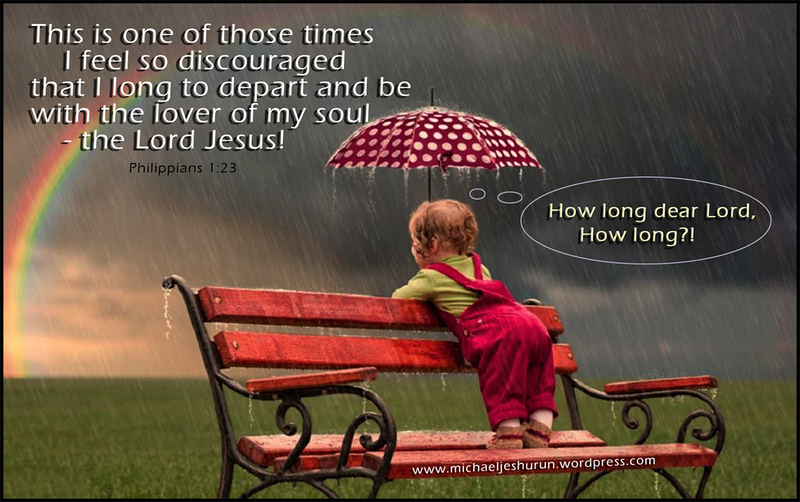 I shall not lack TEMPORAL THINGS: does he not feed the ravens, and cause the lilies to grow? How, then, can he leave his children to starve? I shall not lack SPIRITUAL THINGS; I know that his grace will be sufficient for me. I may not possess all that I wish for, but I shall not lack. Others may, far wealthier and wiser than I, but I shall not. “The young lions DO lack, and suffer hunger: but they that see the Lord SHALL NOT WANT any good thing.” It is not only “I do not want,” but “I shall not want.” Come what may, if famine should devastate the land, or calamity destroy the city, “I shall not want”. Old age with its feebleness will not bring me any lack, and even death with its gloom will not find me destitute. I have all things and abound; not because I have a good store of money in the bank, not because I have skill and wit with which to win my bread, but because the Lord is my Shepherd. The wicked will always want, but the righteous never; a sinner’s heart is far from satisfaction, but a gracious spirit dwells in the palace of content. We know that death is not the end of our being. By a confident faith we are persuaded that better things await us in another state. We are speeding onwards through our brief life like an arrow shot from a bow, and we feel that we shall not drop down at the end of our flight into the dreariness of annihilation, but we shall find a heavenly target far across the flood of death. The force which impels us onwards is too mighty to be restrained by death. We have that within us which is not to be accounted for, if there be not a world to come, and especially, as believers, we have hopes, and desires, and aspirations, which cannot be fulfilled, and which must have been given us purposely to make us miserable, and to tantalize us, if there be not a state in which every one of these shall be satisfied and filled to the brim with Joy. We know, too, that the world into which we shall soon be ushered is one which shall never pass away. We have learned full well by experience that all things here are but for a season. They are things which shall be shaken, and, therefore, will not remain in the day when God shall shake both heaven and earth. But equally certain are we that the inheritance which awaits us in the world to come is eternal and unfailing, that the cycles of ages shall never move it; that the onflowing of eternity itself shall not diminish its duration. We know that the world to which we go is not to be measured by leagues, nor is the life thereof to be calculated by centuries. Well does it become every one of us, then, professing the Christian name, to be questioning ourselves as to the view which we take of the world to come. lt may be there are some of you now present who call yourselves believers, who look into a future state with shuddering and awe. Possibly there may be but few here who have attained to the position of the apostle, when he could say, that he had a desire to depart and to be with Christ. I take it that our view of our own death is one of the readiest tokens by which we may judge of our own spiritual condition. When men fear death it is not certain that they are wicked, but it is quite certain that if they have faith it is in a very weak and sickly condition. When men desire death we may not rest assured that they are therefore righteous, for they may desire it for wrong reasons; but if for right reasons they are panting to enter into another state, we may gather from this, not only that their minds are right with God, but that their faith is sanctified and that their love is fervent. The words are capable of being translated, “Thy goodness hath made me great.” David gratefully ascribed all his greatness not to his own goodness, but the goodness of God. “Thy providence,” is another reading; and providence is nothing more than goodness in action. Goodness is the bud of which providence is the flower, or goodness is the seed of which providence is the harvest. Some render it, “Thy help,” which is but another word for providence; providence being the firm ally of the saints, aiding them in the service of their Lord. Or again, “Thy humility hath made me great.” “Thy condescension” may, perhaps, serve as a comprehensive reading, combining the ideas mentioned, including that of humility. It is God’s making himself little which is the cause of our being made great. We are so little, that if God should manifest His greatness without condescension, we should be trampled under His feet; but God, who must stoop to view the skies, and bow to see what angels do, turns His eye yet lower, and looks to the lowly and contrite, and makes them great. 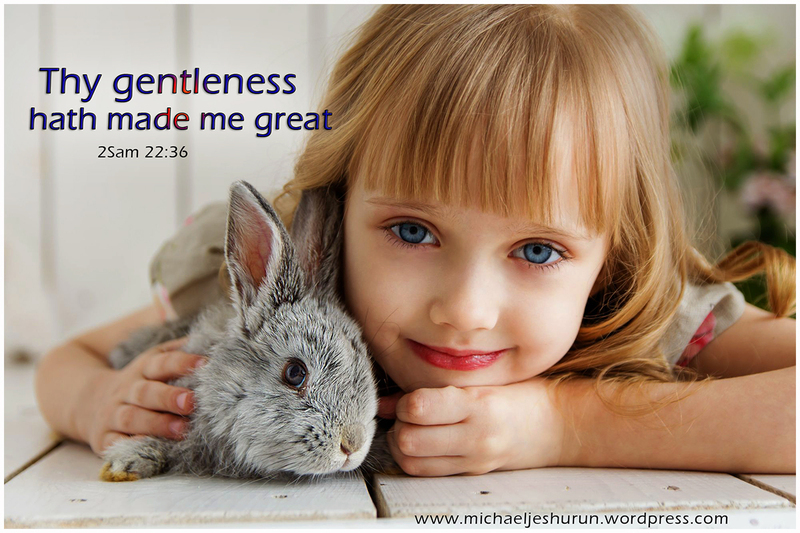 How marvellous has been our experience of God’s gentleness! How gentle have been His corrections! How gentle His forbearance! How gentle His teachings! How gentle His drawings! Meditate upon this theme, O believer. Let gratitude be awakened; let humility be deepened; let love be quickened ere thou fallest asleep to-night. Some men can perceive no wonders in the gospel, but David felt sure that there were glorious things in the law: he had not half the Bible, but he prized it more than some men prize the whole. He felt that God had laid up great bounties in his word, and he begs for power to perceive, appreciate, and enjoy the same. We need not so much that God should give us more benefits, as the ability to see what he has given. 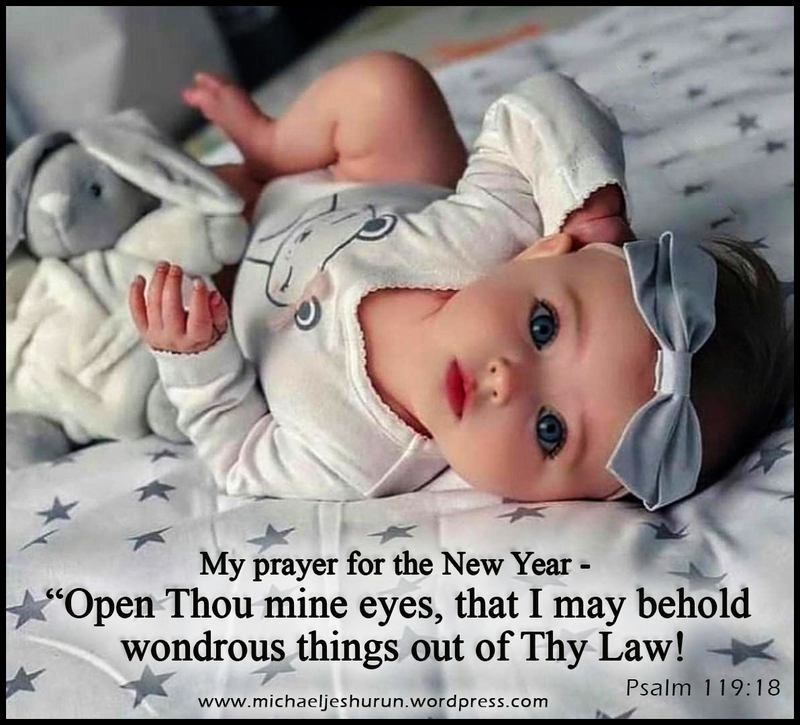 The prayer implies a conscious darkness, a dimness of spiritual vision, a powerlessness to remove that defect, and a full assurance that God can remove it. It shows also that the writer knew that there were vast treasures in the word which he had not yet fully seen, marvels which he had not yet beheld, mysteries which he had scarcely believed. The Scriptures teem with marvels; the Bible is wonder land; it not only relates miracles, but it is itself a world of wonders. Yet what are these to closed eyes? And what man can open his own eyes, since he is born blind? God himself must reveal revelation to each heart. Scripture needs opening, but not one half so much as our eyes do: the veil is not on the book, but on our hearts. What perfect precepts, what precious promises, what priceless privileges are neglected by us because we wander among them like blind men among the beauties of nature, and they are to us as a landscape shrouded in darkness! 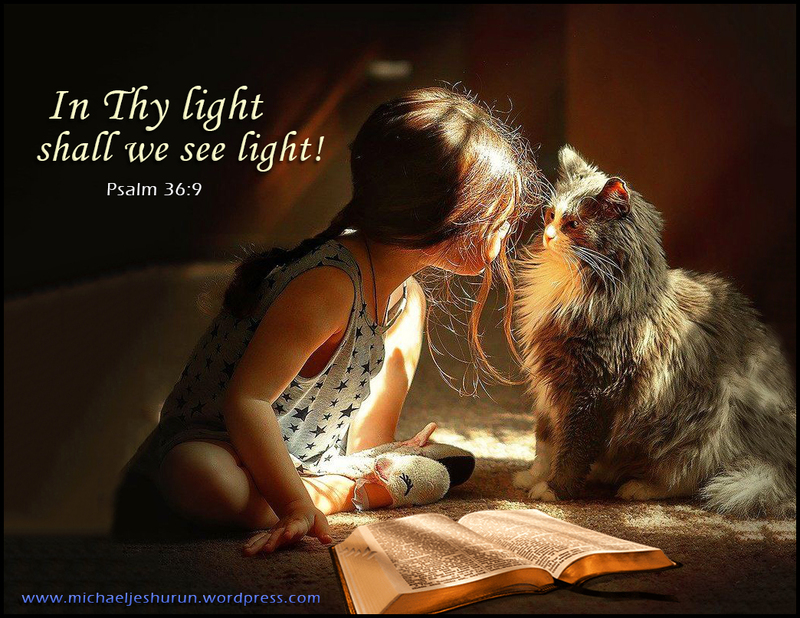 The Psalmist had a measure of spiritual perception, or he would never have known that there were wondrous things to be seen, nor would he have prayed, “open thou mine eyes”; but what he had seen made him long for a clearer and wider sight. This longing proved the genuineness of what he possessed, for it is a test mark of the true knowledge of God that it causes its possessor to thirst for deeper knowledge. David’s prayer in this verse is a good sequel to Psalms 119:10, which corresponds to it in position in its octave: there he said, “O let me not wander,” and who so apt to wander as a blind man? and there, too, he declared, “with my whole heart have I sought thee,” and hence the desire to see the object of his search. Very singular are the interlacings of the boughs of the huge tree of this Psalm 119, which has many wonders even within itself if we have opened eyes to mark them.